Designed by Juha Leiviskä in 1968, this compact ceiling lamp offers big design in a small package. 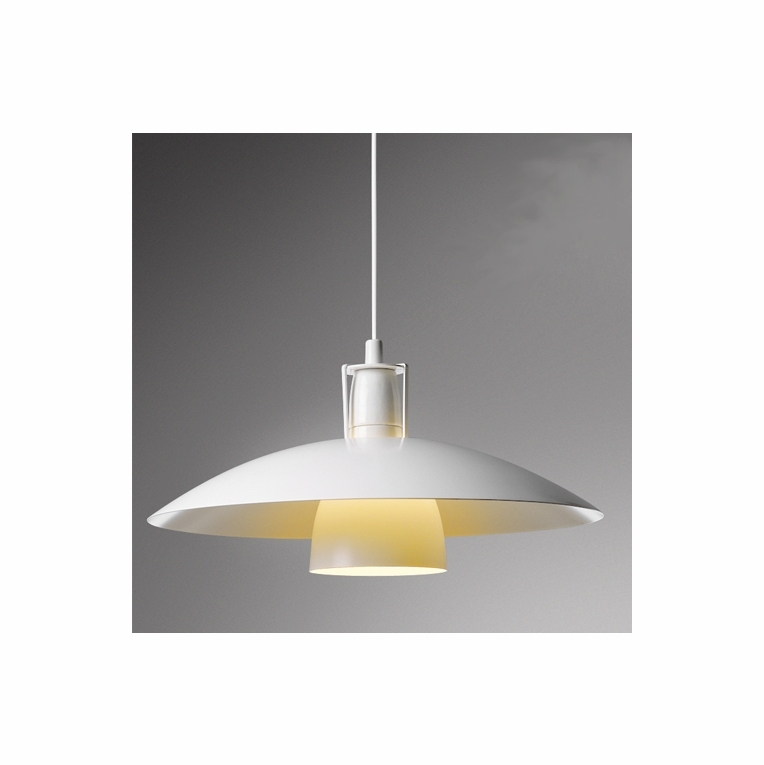 At 14" in diameter, this light features a soft bulb covered with a thin, white aluminum shade. Perfect for lining a hallway, kitchen countertop or brightening small spaces, this ceiling lamp brings subtle yet chic style. Ships assembled.Please review our Shipping Information page before ordering. Payment: 50% will be charged at time of order, remainder will be charged at time of shipment.